Walk into the room wearing the Marchesa Notte™ Strapless Ombre Tulle Tea Length Gown and be noticed. Beautiful pleated construction along the bodice. Attached, full skirt with rosettes throughout. 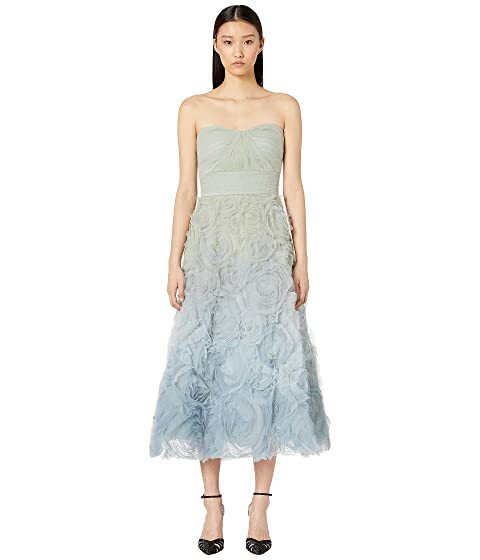 We can't currently find any similar items for the Strapless Ombre Tulle Tea Length Gown by Marchesa Notte. Sorry!